This is a wonderful side dish. 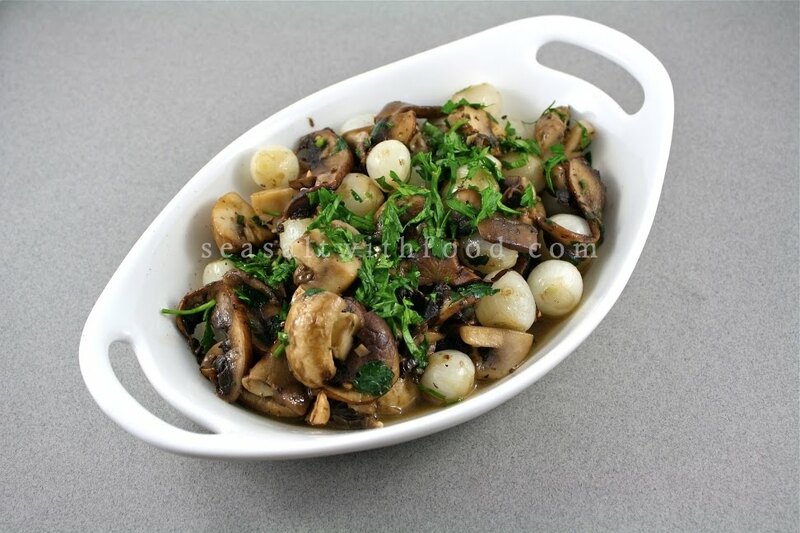 I love all type of fresh mushrooms, especially the Chanterelles and Portabella. Anyway, I have made this dish to go with my grilled steaks. Yummy! Clean the mushrooms. 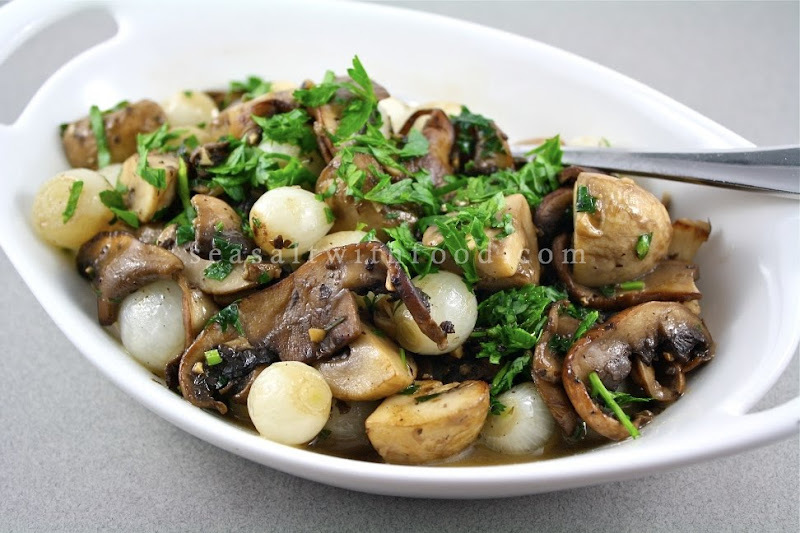 Slice the Portabella mushrooms and quarter the button mushrooms. Heat the oil and cook the garlic until light golden brown in color. 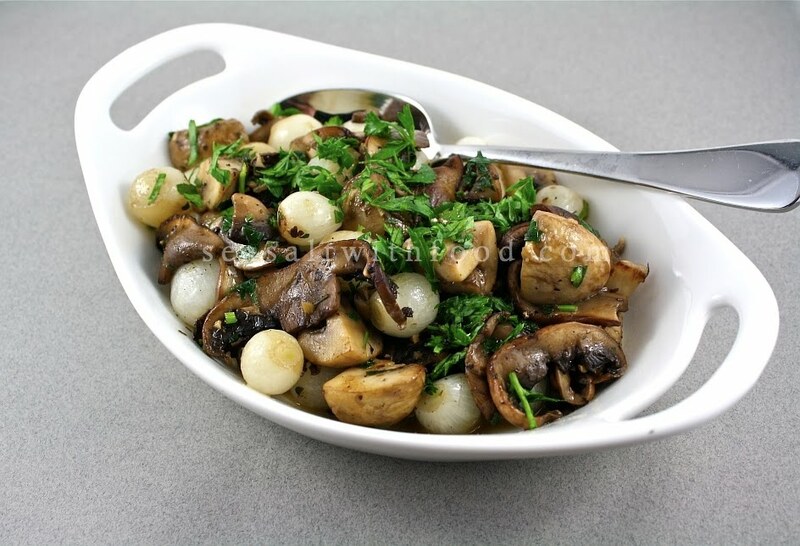 Turn the heat on high and mix in the mushrooms and pearl onions. Stir briefly and add some parsley. Cook and keep stirring for about 6 to 8 minutes. Add the white wine, beef stock and bring it to a boil. Then add the butter and season with sea salt and pepper. Is it weird that I consider this to be comfort food for me? Oh, I love sauteed mushrooms.